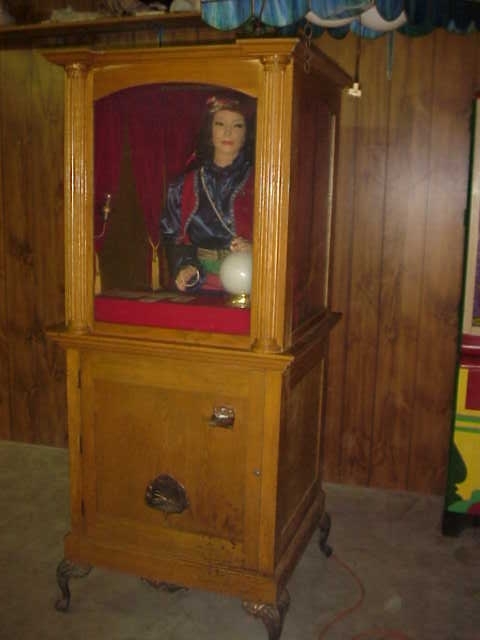 Fortune Teller machine stand 7 feet tall. Oak case with ornate metal castings. Dispenses a card with insert of a coin. 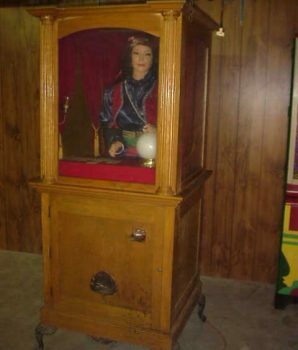 This machine has the following movements. Her head moves from side to side which gives the audience the impression she is watching you closely. Her left arm/hand moves up and down while her right arm moves left to right scanning across the card in front of her. In very good condition.